Websites - Moe Kamal, Jr. 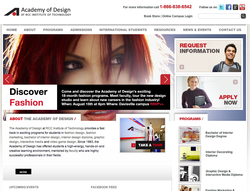 The Academy of Design at RCC Institute of Technology provides a fast track in exciting programs for students in fashion design, fashion marketing, bachelor of interior design, interior design diploma, graphic design, interactive media and video game design. I am responsible to update the website, optimize for SEO and to run SEM campaigns with dedicated landing pages for each campaign. 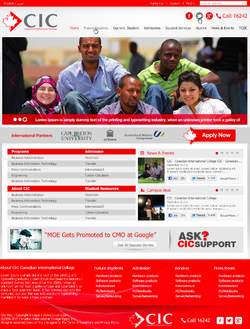 The Canadian International College is an associate campus for Cape Breton University, University of Ottawa, and the University of Windsor. I am responsible in, putting the wireframes together, content management via the CMS. 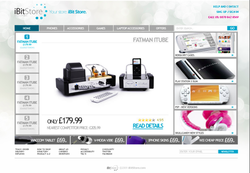 iBitstore.com is an E-Commerce website in electronics and technology. 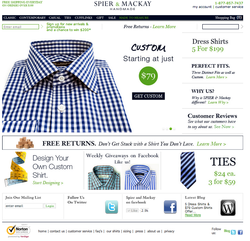 I was responsible to work with web designers in redesigning the website.